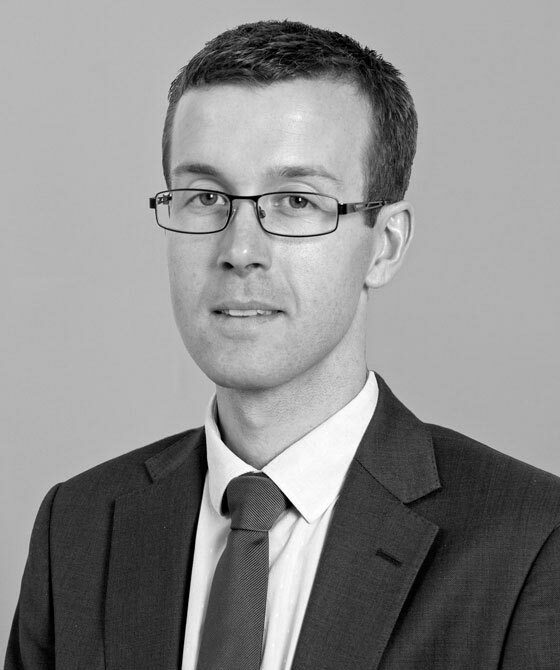 Joseph England specialises in Employment Law and Business & Commercial Law. His two areas complement each other and often overlap, enabling him to provide advice and representation from a practical and holistic perspective. He is very experienced in both fields and is often trusted with important and complex cases by those instructing. Further detail and examples of previous cases can be found in his specialist pages. Prior to coming to the Bar, Joseph gained employment as a Court Clerk in a busy London County Court. He clerked for all levels of the judiciary, ranging from High Court Judges to Deputy District Judges and this provided a unique insight into the workings of the court and the reasons behind Judges’ decisions. His strong abilities as an advocate are reflected in his academic and other achievements. Joseph can be instructed directly through the Direct Access Scheme and is happy to discuss potential cases with clients without obligation. He regularly provides training and articles that consider contemporary legal issues and as well as publishing a book, he has been published on Westlaw and in the ELA Briefing. He provides legal updates and news on Twitter @JEnglandCounsel. Joseph is an experienced practitioner in Commercial and Business Law. He provides practical and accurate solutions and is an accomplished trial advocate, developing key experience in his other complementary area of Employment. His Commercial and Business work focuses on matters of Company and Partnership Law, Insolvency and Trading and Financing, outlined below. Disputes over bonuses, commission, wages, pensions, references and a number of cases involving commission payments relating to agency work. Cases involving an overlap with Joseph’s Employment practice, for example those involving TUPE transfers and questions over the implications of employees. Representing national utility companies in a variety of contractual claims, often leading to strike out following summary judgment. Myriad interim applications, including for summary judgment, the attachment of penal notices to aid enforcement, third party disclosure orders, security for costs, appeals and setting aside summary judgments. 'Unreasonableness': costs applications in the Small Claims Court by Joe England. In what circumstance should a Court determine that a Party to proceedings has behaved unreasonably, for the purpose of awarding Costs in small claims court? Joe England analyses the important decision from The Court of Appeal in Dammermann v Lanyon Bowdler LLP  EWCA Civ 269, which provides guidance on the meaning of 'unreasonableness', in the context of costs applications in the Small Claims Court, and more general guidance on when costs on that track should be awarded. Commercial update: 'Avoided loss' in the Supreme Court - Lowick Rose v. Swynson - an analysis by Joe England. When can a claimant ask the Court to disregard a 'collateral' benefit, when assessing his damages? If he cannot, can he claim for a loss that has been suffered by somebody else? Joe England analyses the important Supreme Court decision in Lowick Rose LLP (in liquidation) v. Swynson Ltd  UKSC 32, which grappled with these recurring problems in the assessment of damages.